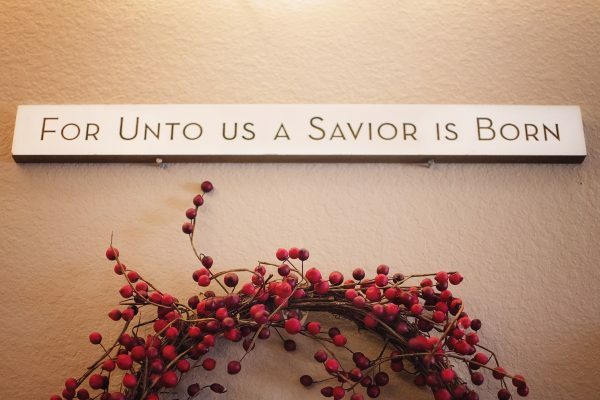 Merry Christmas from the Underground. 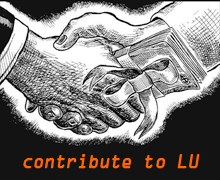 LU will be on break until the middle of next week. Until then, have a wonderful Holiday. 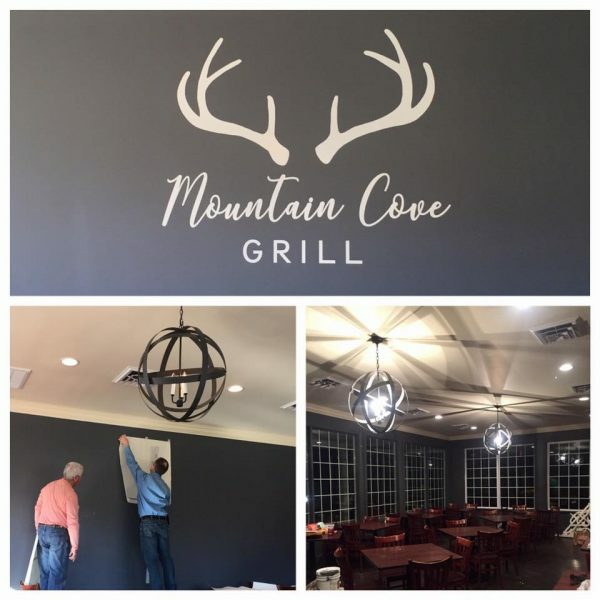 Right before Thanksgiving, Walker County Development Authority proposed leasing the multi-million-dollar Mountain Cove Farms property to a woman from Tennessee for $2,000 a month. The Authority decided to hold off at the time, delaying a decision for a future meeting. That meeting was held yesterday in the Civic Center – at the convenient time of 9 AM. 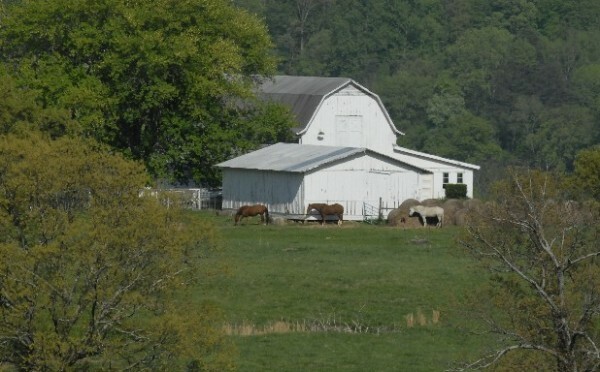 The Development Authority didn’t immediately reject wedding planner Lea Kapherr’s unsolicited offer to rent the farm for $24,000 a year, but didn’t accept it either. Instead, the Authority decided, in a rare smart decision, to follow the ethically best path of taking bids on the land until February so the best possible deal can be found. During the meeting it was said Rock City may also be interested in the farm, but no dollar figures were attached to their rumored bid. Ms. Kapherr’s proposal involves a newly formed company, an LLC, which means the financials and owners and even officers are shielded by law. There’s no way to find out who else is involved unless the bidder willingly reveals it. The Development Authority SHOULD make that a requirement, not just for this person but for any entity seeking to do a business deal with the county. All else aside, Kapherr’s offer forced the Authority to open this up for public bids. Maybe that was all they intended in the first place. A bid so low that it forced the county to actually do this in the open, legally, instead of taking some slightly higher lowball offer from a friend of Bebe or some campaign contributor of Shannon Whitfield’s. 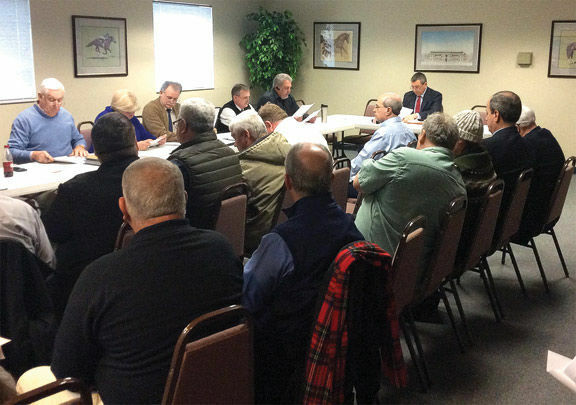 Since the farm now legally belongs to the Walker County Development Authority, any money that comes in from leasing it to a private business would go back to that entity, not the county itself. WCDA buys land and gives out tax credits to companies like Audia. Regardless of who ends up renting the land, it do much for the county budget other than remove some strain of keeping the place going. 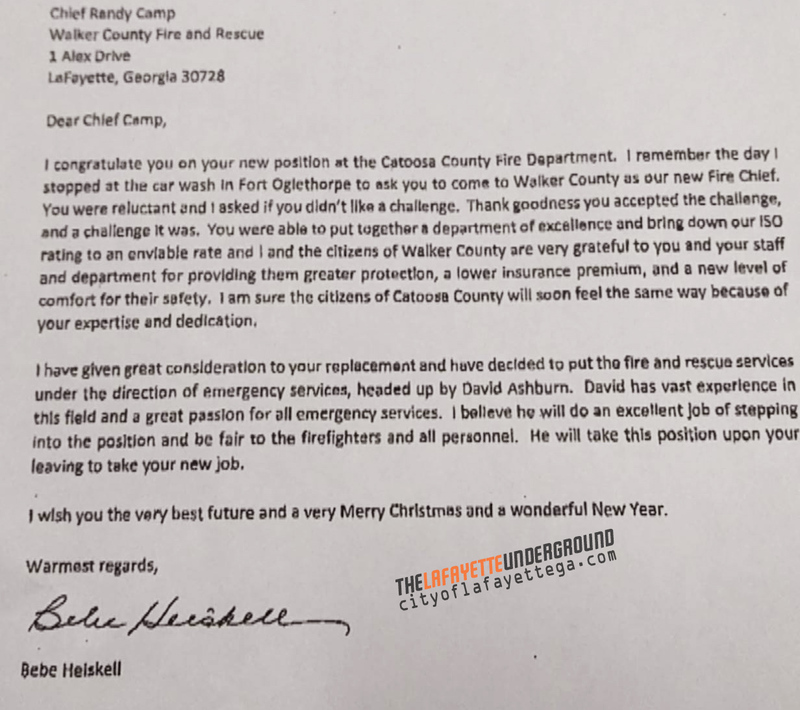 LU EXCLUSIVE: Bebe Heiskell has issued a memo to departing Fire Chief Randy Camp, thanking him for his years of service to the county. In the same letter she confirms plans to consolidate the fire department with other emergency services, 911, CERT, etc. under the leadership of loyal supporter David Ashburn. He was on the Hutcheson board when terrible decisions were made there, and still sits on the Water Authority board. In many ways he’s Bebe’s man, in whatever place she puts him – and he’ll keep dancing to her music even after she leaves office. Shannon Whitfield can reverse this last-minute decision and name his own fire chief after being sworn in next week, but isn’t expected to do so. 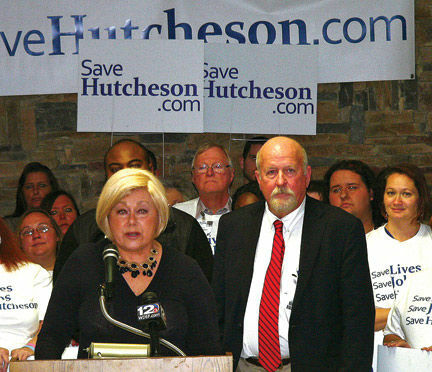 Former leaders of now-defunct Hutcheson Hospital may have to pay for their actions afterall. Federal Department of Labor investigators are seeking information about employee health insurance plans that weren’t paid and retirement funds that may have been misused. They’re focusing on ex-Hutcheson CEO Farrell Hayes, ex-COO Kevin Hopkins, and onetime hospital lawyer Don Oliver. Remember back when LU was the only place suggesting there was bad behavior among the leadership at Hutcheson, and everybody got mad because we’re awful and shouldn’t say stuff like that? There’s nothing new under the sun..
Commissioner-elect Whitfield is seeking to fill several county jobs(?) ahead of taking office. 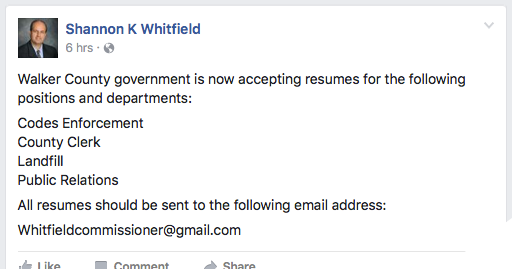 Whitfield will need positions filled quick after becoming commissioner, but it MAY violate open records laws to ask for government job applications with a private e-mail address, and putting these on Facebook absolutely does NOT count as a legal posting of an open job. Also are “Landfill” and “Codes Enforcement” specific jobs, or just departments? Is he looking for leaders or workers? Are there job descriptions for these positions? 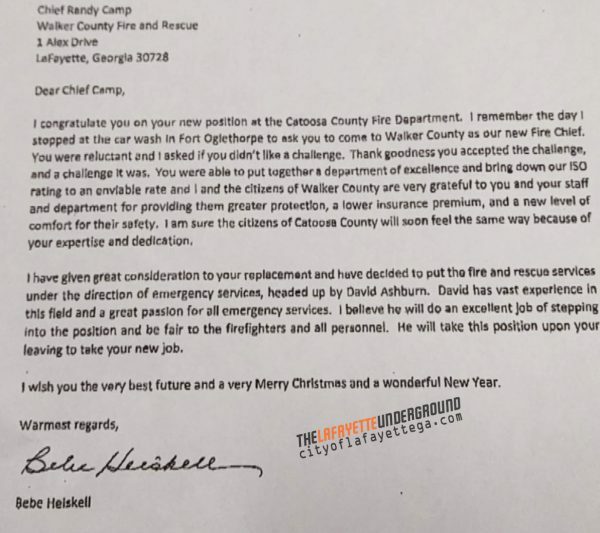 Whitfield’s omission of “fire chief” on this job list strengthens fears that he’ll leave David Ashburn in charge of the fire department. 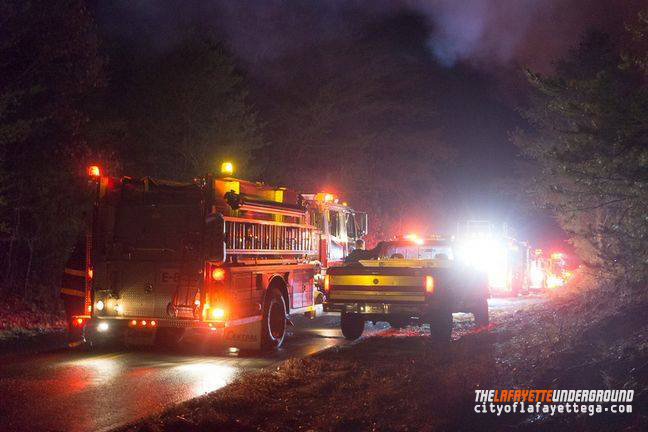 Another home was destroyed by fire Saturday evening. A doublewide at 2784 South Dicks Creek Road in Villanow, just past Young Drive, is a complete loss. 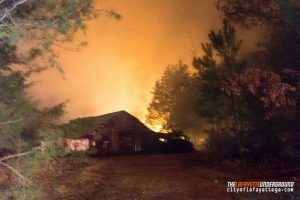 An eyewitness on the scene said a family living in the structure escaped unharmed; fire crews spent most of their energy keeping flames away from adjacent outbuildings. Thank God everybody got out of this one. 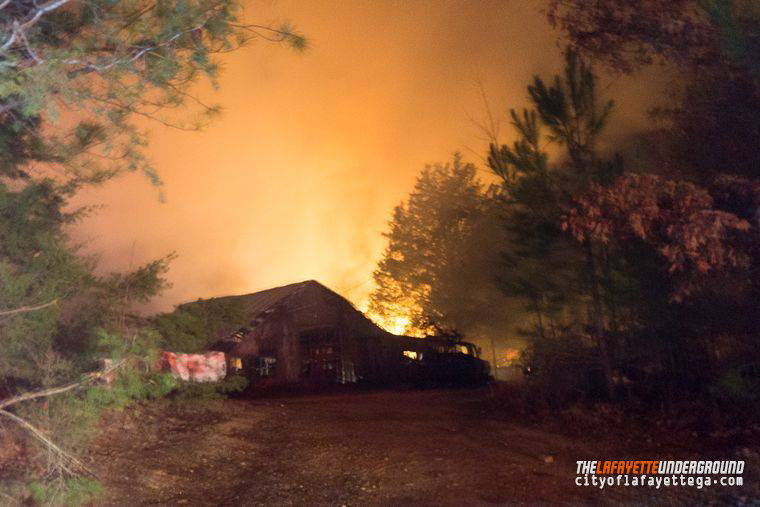 In Walker and Chattooga alone we’re almost at twenty people dead in house fires in the last twelve months, and since fall not a week has gone by without another house burning down in the area. Be safe. Get your chimney and heater checked out/serviced. Make sure you don’t have anything that’s going to burn sitting too close to your fireplace or stove. Get working smoke detectors. Make sure all the kids know what to do in a fire and have emergency exits. 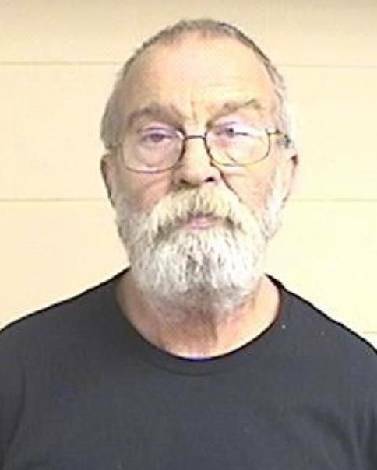 Billy Eugene Drennon Sr of Cook Road went to jail last Sunday after allegedly punching, choking, and firing a shot at his adult son. The incident began when Drennon’s wife fell and the son told his father to help her up. After arrest, Drennon reportedly said he should have put a bullet in his son’s head and vowed to kill him if he was at the house. Despite that, the Catlett man was released on $6,600 bond. LaFayette has formally posted the city fire chief job, which was recently vacated by Robert Busby. City leaders said they wanted to change the job description before seeking a new chief; the description shared with this posting seems heavy on administration and law enforcement cooperation but light on actual fire training. Chadwick Bryan Eaton of Steele Street went to jail last week after making a scene outside Linwood Baptist Church. 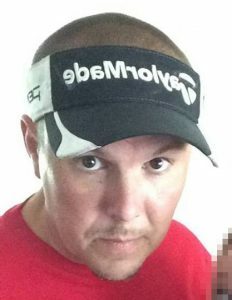 He allegedly threatened and cursed several men present and threw a drink at the pastor. He faces charges of assault and violating his probation from an earlier conviction. Eaton has prior arrests for meth, stalking, theft, family violence, and stalking (again). Plus: Walker County arrests, December 1-7, December 8-14, December 12-18. 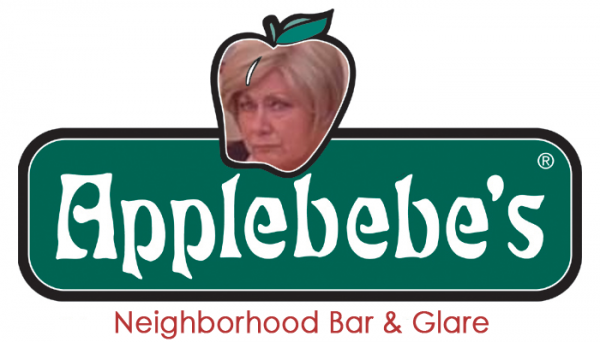 Manor House, or Applebebe’s, was opened by the commissioner shortly after buying the farm, even though she said she didn’t want to (?) and admitted the county had no business running an eating place. It lost over $800,000 before Heiskell finally pulled the plug on it. The same kitchen, equipment, etc. 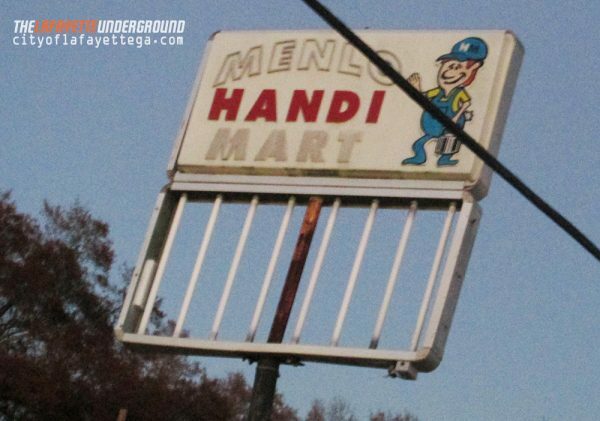 are now being leased cheap to this private business, which at least won’t run on taxpayer money if it doesn’t do well. An alleged confrontation involving a fork led to a police chase and arrest on December 12th. WQCH Radio, 12/18/16: “LAFAYETTE POLICE ARRESTED A LOCAL WOMAN AFTER WALMART EMPLOYEES REPORTED A WOMAN-TO-WOMAN FIST FIGHT ON THEIR PARKING LOT, [last] MONDAY AFTERNOON. “STORE VIDEO AND WITNESS ACCOUNTS IDENTIFIED THE AGGRESSOR AS 23 YEAR OLD KIANDRA SHANTE’ UNDERWOOD, WHO WAS ARRESTED AT A NEARBY FAST FOOD PARKING LOT. “SHE WAS ACCUSED OF STRIKING ANOTHER WOMAN IN THE FACE, THROUGH THE DRIVER-SIDE WINDOW OF HER PARKED CAR. 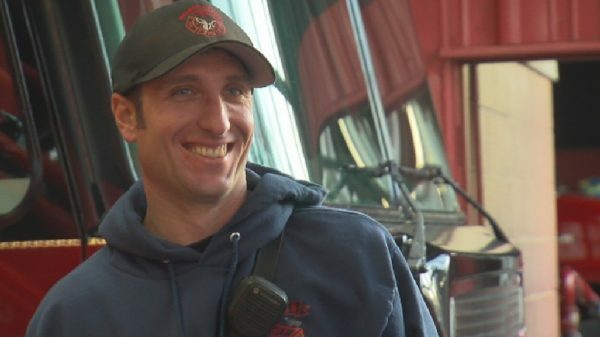 Lt. Chad Regal of Walker County Fire & Rescue was given an award of Valor earlier this month for heroically trying to rescue two children who died in a fire back in September. He, along with Nathan Elliot (who also got a commendation) went into the burning trailer looking for kids, unconcerned about his own safety. Man arrested in Menlo for shoplifting an energy drink. Suspect allegedly steals the same items from the store regularly, and then tries to sell them back to the same store. Washington Phillips’ haunting lyrics and gospel voice were almost lost to history, but a new release of his songs from the 1920’s have brought the obscure singer new attention in the 21st century. “Washington Phillips and His Manzarene Dreams” includes all sixteen of Phillips’ existing songs and a new biography. Another top notch historical release from Dust to Digital, a company founded and run by LaFayette native Lance Ledbetter. During the November election, Georgia voters approved a ballot measure changing how the state’s judges are chosen. Most voters didn’t understand the bill, and apparently legislators who wrote it didn’t either. A little oopsie means the state will have three different agencies temporarily doing the same job at the same time. The purpose of the change all along was to make judges less accountable and give legislators more control over who gets to be a judge in Georgia. I’m sorry, for the young girls death. Everybody seems to be talking about the domestic violence. They both were on meth. Very Bad. And that’s what meth does to people it causes you to fight with each other until something horrific happens. When they have the drug, they love each other so much and are going to do big things. But then they run out of money to buy their drug,their bills get behind, then they fight, fight fight. It’s so sad but most of the time when they are domestic violence, they are usually Drugs and Alcohol involved, GET HELP, and CHOOSE LOVE, NOT HATE for your families sake.